Hi everyone! 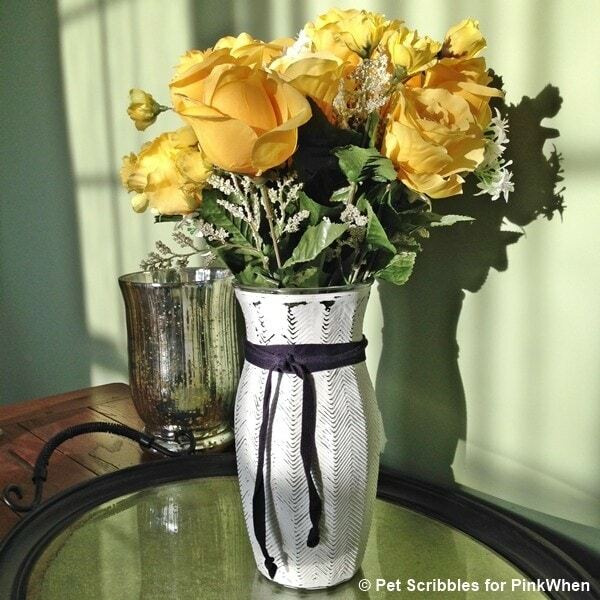 Laura here from Pet Scribbles, with an easy glass vase makeover with chalky finish paint. Perfect for all of your pretty Spring flowers! 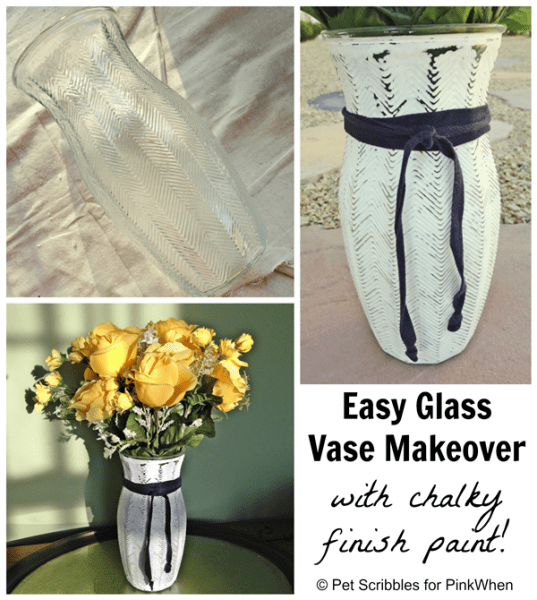 Check out how I made this easy and cost effective transformation from a plain glass vase, to a beautiful piece for our home. We all have at least one of these vases, or something similar. Let’s paint them with chalky finish paint! 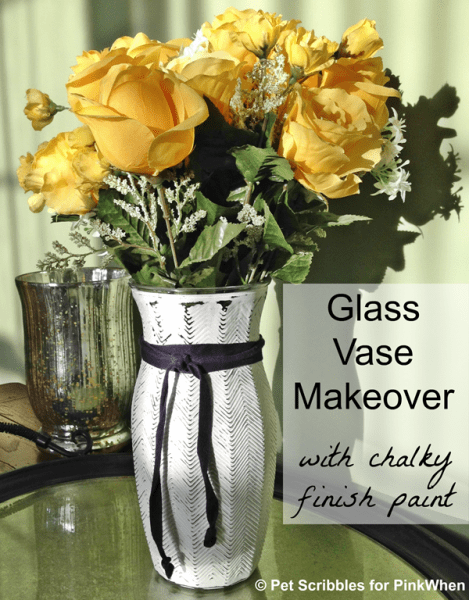 Step One: Paint the vase with one or two coats of chalky finish paint. 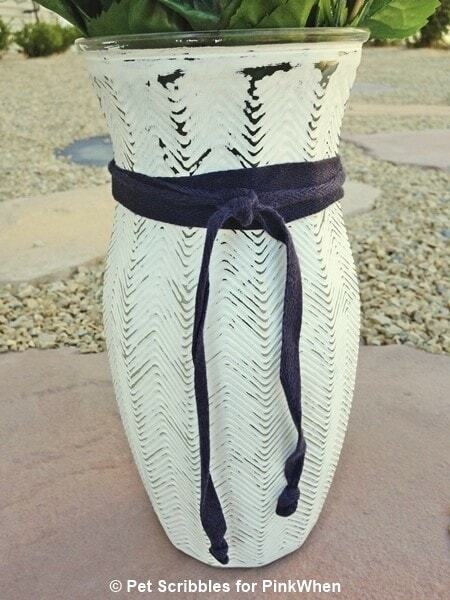 Because I chose a white shade (called Everlasting from DecoArt), I painted two coats on my vase. Let dry in between each coat. 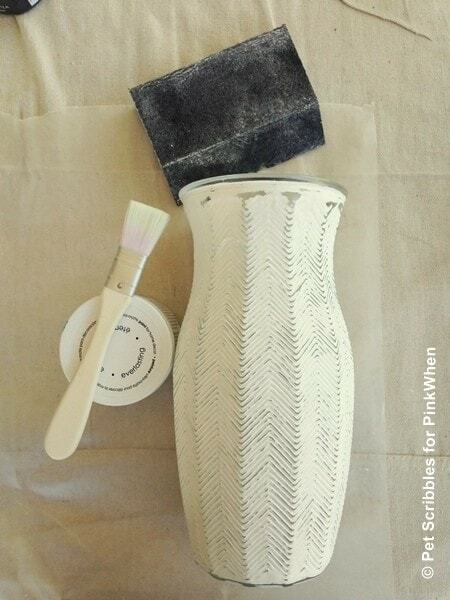 Step Two: Using sandpaper or a sanding block, begin sanding at the very bottom of the vase. This helps you get the feel of how easily the chalky finish paint comes off, without worrying that anyone will see your first attempts at sanding! Tip: Vases with raised edges or designs embedded in the glass work great for this purpose! Step Three: Wipe off the dust from sanding with a white rag or paper towels. I thought it was perfect to wrap around the vase. 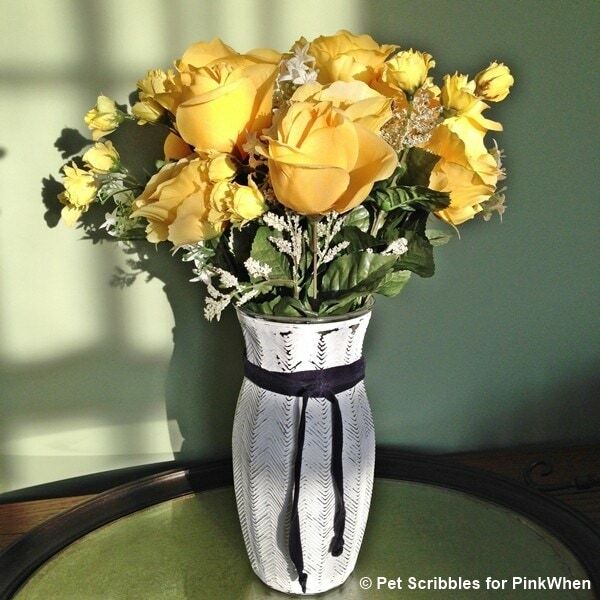 Next time you’re shopping, look at the vases in home decor stores: chalky painted vases are very popular right now. 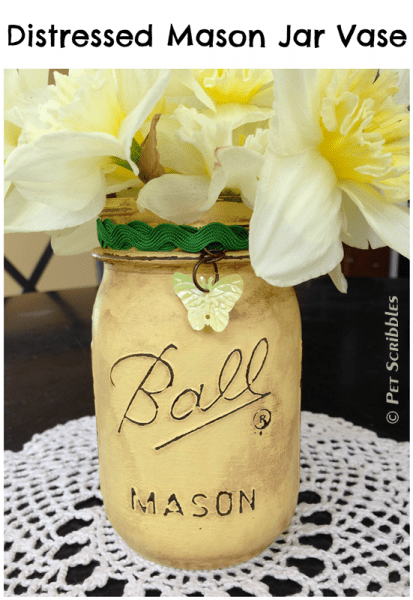 You can save money by upcycling those florist vases and paint your own! That vase is amazing. 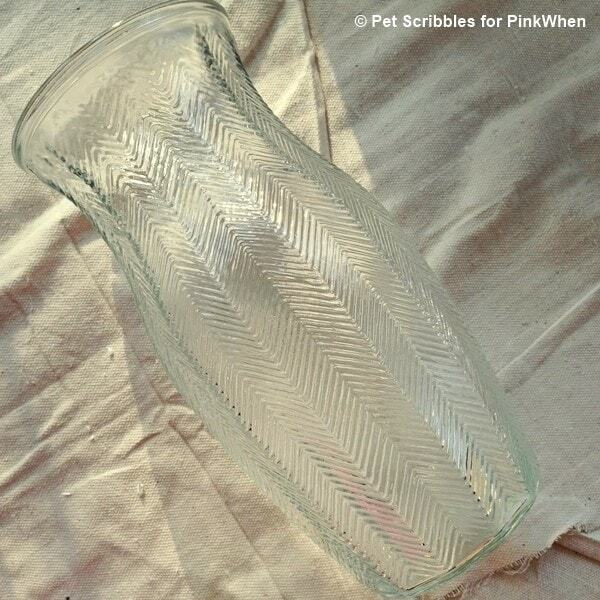 I have a bunch of plain glass vases that would be great to redo. Visiting from Treasure Box Tuesday. That turned out super cute! Thanks again for linking up with Idea Box! I love this vase. Makes me want to go try this with one of mine now! 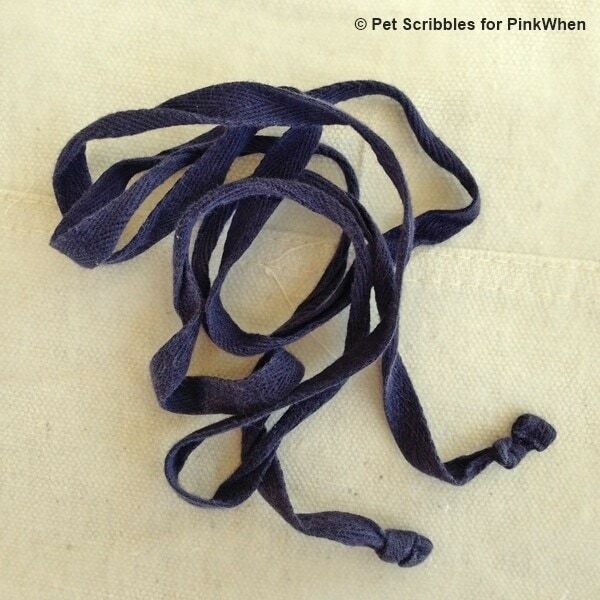 Thanks for sharing this at Idea Box link party!